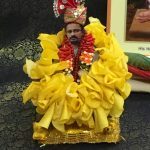 Categories: Bhagavatam Lectures, Divine Names, Guru, Prayers, Sanatana Dharma, Satsang, Worship. 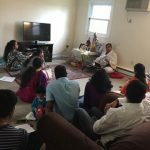 Numerous households of Acton and neighborhoods near Boston get together every Sunday evening to chant the Vishnu Sahasranama. 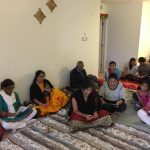 The group had invited Sri Ramanujamji to address them. 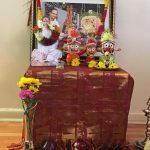 On Sunday, Oct 5, Sri Ramanujamji discoursed on the greatness of Vishnu Sahasranamam. 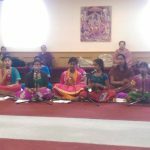 Expounding on the commentaries of Vishnu Sahasranamam, Sri Ramanujamji spoke on the easy and simple path of Bhagavatha Dharma – chanting of the Divine Names. 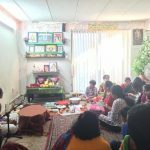 The satsang was attended by 25 devotees.